Residents interested in the details of Barrington’s feral cat trap-neuter-release program can learn more and volunteer to take part at a meeting at 6:30 p.m. Aug. 29 at borough hall, Councilwoman Maureen Bergeron said. 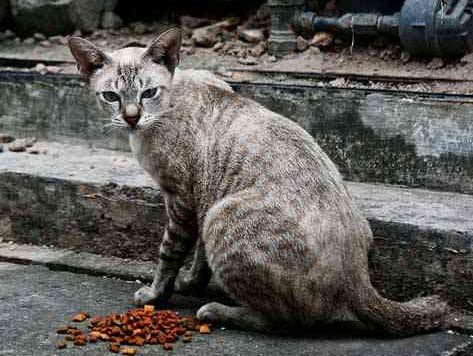 The program is intended to catch feral cats in the community in order to have them neutered before releasing the animal in an area away from where they are found. During the meetings, attendees will have an opportunity to visit the proposed relocation area which Bergeron said is behind the Department of Public Works building and away from residential areas. Bergeron asks residents interested in helping to contact her at mbergeron@barringtonboro.com or by calling 856-547-8585. She also noted in the publication that about 700 cats and dogs are believed to be owned as pets in the borough, but only about one-quarter of them are properly licensed. Hey maureen what about if feed them you get them all licensed because technically they are yours. Who ever is feeding them should be made to have them all licensed. TNR works great! First all that time and effort and money is spent on unwanted cats, then you spend time training cats to want human-supplied foods. Then people who are far more respectable to all their neighbors and to the environment and all our valuable native wildlife who don’t want to see those animals gutted-alive or skinned-alive by cats just use a 5-cent tylenol on your TNRed cats so they die of “attrition”. Just like you want and like having all your cats die of “attrition”. It’s just a matter of degree for how long you want them to suffer to death to show everyone how TNR works so well, isn’t it. Hours, days, weeks, months. It doesn’t matter to you, so long as they eventually die from being ran-over by cars, attacked by other cats or animals, die from environmental poisons (plants, chemicals, poisonous animals, etc. ), being eaten from the inside-out by parasites, freezing to death … you know, all those “fun” and “humane” ways that ALL your TNR’ed cats die of “attrition”. By using 1-adult-strength inexpensive acetaminiphen pain-relievers in their foods your cats will die before they eventually fight to the death for territory or getting eaten from the inside-out by parasites. For if they die from fighting-to-the death for territory that would be absolutely no different than criminals who run dog-fight rings to see who wins. Those animal abusers spend years in jail. If it weren’t for all the people killing your TNR cat-colonies with cat-foods and 5-cent pills you could end up in jail for animal-abuse. We wouldn’t want to have that happen, now would we. That 5-cents solves so many problems for you, and for everyone else! Not to mention all the billions of animals that your cats would skin-alive and disembowel-alive just for their play-toys. I, however, had a cat-infestation on my lands that no amount of trapping them could ever catch up to their rate of breeding (which is actually true everywhere when you do the math). Instead I found a way to turn my home and lands into a 100% fatal cat-trap which I now share with everyone who has been plagued by moron cat-lickers and their criminally irresponsible and earth-destroying values. By using IR wildlife surveillance cameras and baiting trails of fish-oils along all the roadsides for miles around leading right to a feeding dish within range of my scoped and laser-sighted rifle. This can totally clean-out ANY stray cats in your whole area! VERY EFFECTIVE if you have idiot cat-licking problem-neighbors by you too. You can now get VERY NICE IR surveillance cameras on ebay for only $15 [search ebay with the string: CCTV (IR, infra-red) — the 48 IR LED ones are best], and $15 rifle laser-sights as well. For only a $30 investment and the drained oils from tuna or sardine tins (or a bottle of fish-oil-fertilizer from your garden center) to make trails on all your roadsides, you can get rid of EVERY LAST ONE OF THEIR CATS in only a couple seasons! Further Help: These cats are skittish as all get out. Illuminate your yard with red-floods dimmed low on dimmers (they also put out tons of IR illumination). Once you spot one of their vermin cRats on your surveillance monitor, turn off all your indoor lights, and then SLOWLY, VERY SLOWLY, open the door so as not to scare them out of your yard. The dimmed-low outdoor floods also helping to shield your presence from their view and provide enough light to help aim by. Use the laser-sight to aim for a precision chest-shot. They die in under 3 seconds, often less than 1 second, not even enough time to make a sound. This is FAR FAR FAR more humane than the days of terror and torment that even TNR advocates put their cats through (and then the slow INHUMANE “death by attrition” that they spew and embrace). Contrary to popular opinion, do not use a head-shot. I tried that once, it took much longer for it to die. I now suspect that cats survive more by their reptilian brain-stem than any unused gray-matter that might be above it (just like cat-lickers do). I now suspect this is the origin of their 9-lives myth. A few more of my tips and methods whereby I managed to get rid of every last one of hundreds of these invasive-species vermin in only two seasons, can be found (in Reader’s Digest form) at: americanhunter D0T org/blogs/arkansas-will-trap-feral-cats The eradication so effective and complete, in dense woods and heavy underbrush, all done by myself in less than two seasons, that I’ve not seen even ONE cat in nearly FOUR YEARS now. That cat-lickers’ oft-spewed “vacuum effect” myth is a COMPLETE AND TOTAL LIE. For nighttime the scented trails and IR cams worked best, for daytime the help of learning the predator calls of squirrels was best. They always alerted me to the presence of, and led me directly to some of the most wary cats of all. You must take direct relentless action against stray cats, you can’t just wait for them all to show up one day or they just keep coming and coming. It’s the ONLY way to stay ahead of these man-made cats’ breeding rates and the rates at which criminal cat-dumpers keep letting more being born and dumped outdoors. This entry was posted on August 29, 2013 by Barrington Bulletin in Borough Hall, Safety and tagged feral cats.